Funeral Services honoring Rudy’s life will be held on Monday, November 5, 2018 at 10:30 a.m. at the Piasecki-Althaus Funeral Home, 32720 39th Ave., Kenosha, WI 53144. Interment will follow in Sunset Ridge Memorial Park. A visitation will be held on Sunday, November 4th from 2:00 p.m. until 4:00 p.m. at the funeral home. Rudolph J. 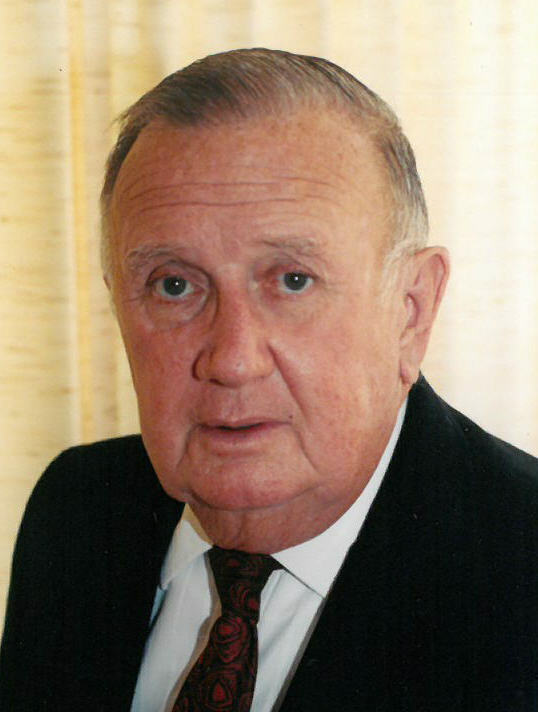 “Rudy” Topolovec, age 93 of Kenosha, passed away peacefully surrounded by family on Sunday, October 28, 2018. He was born to Rok and Antonia (Malnar) Topolovec in Kenosha, where he resided his entire life. He was united in marriage to Joanne on December 4, 1948 in Racine. They spent every moment together, including his last. Rudy was employed by American Brass for 42 years. For many years, he rode his bicycle to work, until he retired in 1985. He was a member of the former Kenosha Boat Club. After his retirement, Rudy and his wife, Joanne enjoyed spending their winters in Florida. Rudy loved nothing more than to spend time dancing the polka with Joanne, camping, fishing, boating and hunting with his very loyal family and friends. He decided it was finally time to join those that have gone before him; once again to reel ‘em in. Rudy was truly a family man. Never an anniversary, birthday, or holiday would pass without a call or a card. Rudy is survived by his loving wife of 69 years, Joanne; his son, Michael (Linda) Topolovec; his daughter, Carol Weyrauch; five loving grandchildren; eleven great-grandchildren; one great-great grandson; and many other extended family members. He was preceded in death by his brothers, Frank and Ted Topolovec and a sister, Mickey Cerasani.